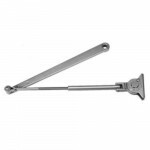 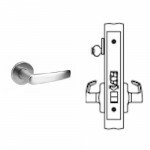 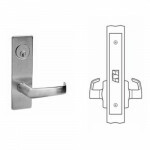 ML2067 NSM Corbin Russwin Mortise Apartment or Dormitory Grade 1 Lever ANSI F12 - Latchbolt by grip .. 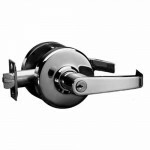 The DC6000 Series door closer is the solution. 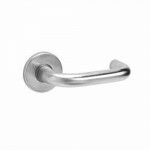 A variety of features makes this the choice for retro.. 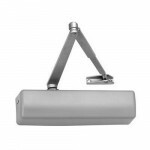 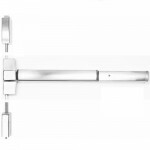 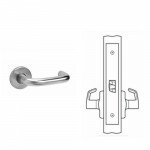 The Corbin Russwin Grade 1 ED5400A 3-Hour Fire-Listed Surface Vertical Rod Exit Device is designed t..
ML2020 NSM Corbin Russwin Mortise Privacy, Bedroom or Bathroom Grade 1 Lever ANSI F02 - Latchbolt by..
ML2055 LWM Corbin Russwin Mortise Classroom Grade 1 Lever ANSI F05 - Latchbolt by grip either side, ..
ML2010 NSM Corbin Russwin Mortise Passage or Closet Grade 1 Lever ANSI F01 - Latchbolt by grip..
Corbin Russwin Regular Arm w/ Hold Open (A1) for DC3000 and DC6000 Series Door Closers. 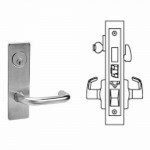 • .. 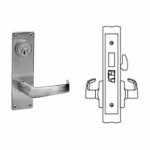 Entrance or Office- Deadlocking latchbolt by lever either side, except when turn button locks outsid..
ML2057 LWA Corbin Russwin Mortise Storeroom or Closet Grade 1 Lever ANSI F07 - Latchbolt by grip ins..
Corbin Russwin ED8000 Series Trim for Rim and Surface Vertical Rod Exit Devices. 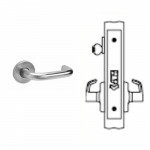 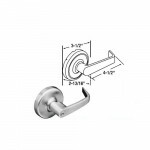 The N655 is a..
ML2051 ASA Corbin Russwin Mortise Entrance or Office Grade 1 Lever ANSI F04 - Latchbolt by key when .. 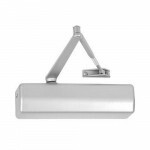 The DC3000 Series Door Closers fulfill security and life safety requirements by ensuring reliable la.. 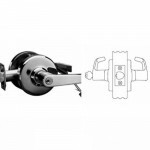 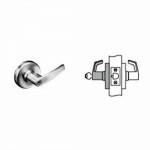 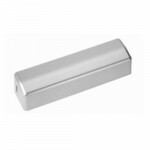 The Corbin Russwin CL33905 is an Electrified Key-In-Lever Cylindrical Lockset. 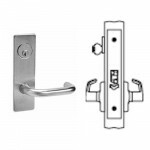 Fail Secure •..
ML2067 LWM Corbin Russwin Mortise Apartment or Dormitory Grade 1 Lever ANSI F12 - Latchbolt by grip ..
Corbin Russwin Full Cover for DC3000 and DC6000 Series Door Closers. 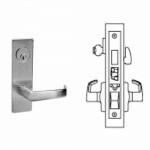 • Standard on all DC6000 se..
ML2055 LSA Corbin Russwin Mortise Classroom Grade 1 Lever ANSI F05 - Latchbolt by grip either side, ..
ML2051 LWA Corbin Russwin Mortise Entrance or Office Grade 1 Lever ANSI F04 - Latchbolt by key when ..
CL3357 AZD Corbin Russwin Storeroom Grade 1 Lever - ANSI F86 - Deadlocking latchbolt by key in outsi..
ML2010 LSA Corbin Russwin Mortise Passage or Closet Grade 1 Lever ANSI F01- Latchbolt by grip ..
CL3857 NZD Corbin Russwin Storeroom Grade 2 Lever - ANSI F86 - Deadlocking latchbolt by key in outsi..